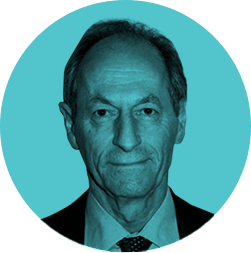 Institute of Health Equity - Michael Marmot: Political? Moi? It was put to me in Norkopping that the word among Swedish colleagues was that I had become more political. One of the Swedes said she remembered a talk I gave in Zagreb in 2008 – such joy! she listened – and that I had raised a disapproving eyebrow when a member of the audience said that she was a former Minister of Health in Norway, and congratulated me on my fine political talk. Was I uncomfortable because she said my talk was political? I suppose I harboured the fiction that I was simply reporting the facts. To be sure, I was doing my best to present them in persuasive fashion. But I studiously avoided making party political statements. One Swedish public health person in Norkopping said that does not make your talks apolitical. I countered that if government policy is making child poverty worse, surely it is our responsibility to point that out, and draw the conclusion that, other things being equal, it will increase inequalities in early child development, and have an adverse impact on health inequalities. I argued in Norkopping that that is reporting the facts. My interlocutor called that political. In the US, when addressing the American Public Health Association, I showed them the figure that after taxes and transfers, child poverty in the US was higher than in Latvia. I then said: Republicans, Democrats, I couldn’t care less, this is your children’s lives that are being damaged. I challenged my audience: you live in a democracy, this must be the level of child poverty that you want, otherwise you would elect a government that would do something different. Was that political? I would like to think that whatever the complexion of the government we would be active in showing the relevant facts. Under the Labour Government in Britain, I led a review that reported that after ten years of action health inequalities had not narrowed. It was not comfortable reading for the government, but it was important to report it. We need to do have the same responsibility to report what is happening whatever the complexion of the government.